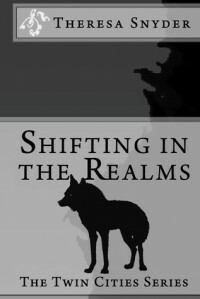 This is a quirky,fun, an sweet shifter novella geared towards older teens and adults. I'd definitely think this would be a great read for teen boys because of the main character being a sixteen year old. Cody is kinda like the silly little brother that's still transitioning in his teen years. He knows he's not the best looking guy but as a wolf he's so much more, which he thrives on. Cody does something both brave and stupid which gets him killed luckily for him though he get's a second chance by living in The Realms. However, he will never age so he views that as a bummer. His new life takes a quick turn from bearable to awesome when he meets a certain lady. Cody will do anything to protect her but it might turn out to be him who needs the help. I'd recommend this book to paranormal, and possibly scifi readers who like a cute quick story.